Everyone who had been aboard a stranded cruise ship, including many Americans, was probably Monday morning after a scary journey off the Norwegian coast . The Viking cloud transported just over 1,300 passengers and crew when it sent an emergency signal on Saturday. The ship had lost power and began to drift toward land while rocking violently. The highly noted ship was stranded in a notorious, rough stretch of water in the Norwegian Sea. On Monday, the Norwegian government announced a study of why the ship had left the port in the first instance despite storm warnings. "The great risk that the ship, its passengers and the crew were exposed to, made us decide to investigate the incident" Dag S. Liseth, who heads the Norwegian accident investigation council, said Monday. As CBS News correspondent Roxana Saberi reported, video from the inside of Viking Sky showed that passengers killed furniture as it flew over the floor and panels fell from the ceiling on Saturday. Outside, large winds and 26-foot waves killed the luxury cruise ship, which lost power for reasons, unclear two days later. When the ship was sawn, a passenger filmed the icy water that ran across the floor. Rodney Horgen from Minnesota said he was scared. "I thought it was at that time. The water will hurry, and that is it," he recalled the holiday-gone-wrong. The danger of colliding on the nearby rocky coast in Norway dropped the anchor and began to evacuate. 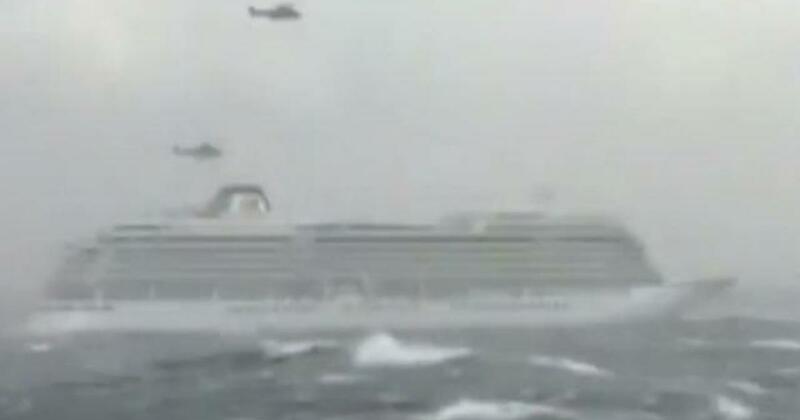 For several hours, Norwegian rescue helicopters lifted more than half of the approximately 900 passengers from the meandering vessel, including Susan and Allan Dullberg, for safety. , he's 74 – well, they picked us up and we were hooked and lifted up, it was pretty shot," Susan said. When the seas were cluttered on Sunday, the ship could reboot three of its four engines, but chutes still dragged Viking Sky back to port. Hospitals in Norway said that nine people from a cruise were hospitalized Monday, including one in critical condition. The Red Cross said many others had been traumatized.